Mom Loves 2 Read: Smile Brilliant Teeth Whitening kit #review and #giveaway ~ get your teeth sparkly at home! 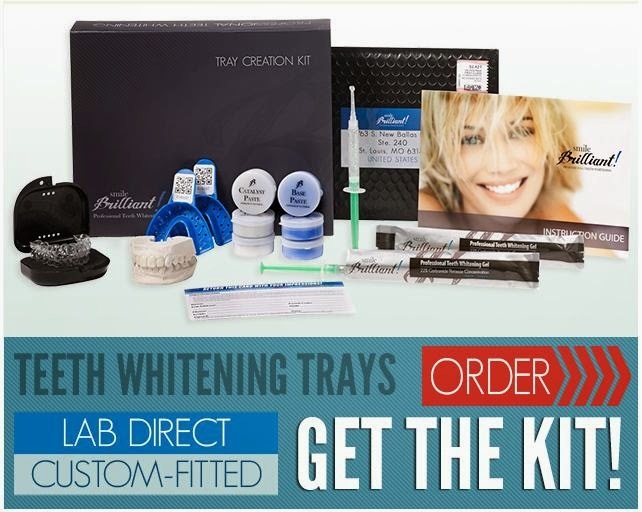 Smile Brilliant Teeth Whitening kit #review and #giveaway ~ get your teeth sparkly at home! Smile Brilliant's tooth whitening system is more effective than any other system on the market not because the gel is better, but because the trays are fitted specifically for your teeth which ensures it holds to the surface area for prolonged periods of time. own home. Unless you have SEVERE issues, it will help whiten and brighten your teeth and you will start to notice the difference in only a few short days of use. Now, make sure to read the directions completely before starting to use it - I did not and ended up using it for too long the first couple times. Just goes to show that knowing all the facts and getting all the info first is very important! A wonderful thing about this system is that it can be done right at home. Secondly, it is custom fit to each person's mouth - making it work best for YOU because it fits snug to your teeth! And finally the customer service is wonderful and always there with any question or concern I had! I do recommend this for anyone who wants a nice bright smile but doesn't want or is not able to pay the huge fees that dentists charge. The tooth is composed of 2 outer layers that surround the pulp which is the chamber that inhabits the nerves. The outer most layer is called the enamel which is a clear and hard coating that protects the tooth from extreme temperatures and impact. The enamel is porous which means substances can seep through and stain the inner second layer known as the dentin. The dentin is a soft bone like tissue that rest on top of the pulp. Everyone's dentin has a slightly different shade of white, off white, or in rare cases yellow. The color of our dentin cannot be altered from teeth whitening. When some consumers report that a teeth whitening product had no effect on the color of their teeth it's usually because that person has an off white or yellowish colored dentin. As long as the bleaching agent was either carbamide peroxide or hydrogen peroxide it will remove all stains over time. 66% of all users experience tooth sensitivity to some degree. For some it will be very mild and for others it will be unbearable. It's important to note that if there are stains on your teeth, our product will absolutely remove them. Some stains are more difficult than others. The average person who wears their trays for 3 hours a day or sleeps with them over night will have removed all the stains from their teeth after 5-7 applications. However more sever conditions such as teeth with tobacco stains, nicotine stains, or dental fluorosis may require as many as 20-30 applications. Interested in giving it a try for FREE? Enter below for a chance to WIN a FREE kit for yourself! Must be 18 or older - open to US, UK, AU, & CANADA! GIveaway runs 10/24 through 11:59pm CST on 11/15. All these years of drinking coffee are finally catching up to me! Good thing it works well with your stained teeth. I tried some whitening kits, but the result is not clearly visible and stains are still there. Good thing my classmate recommended a cosmetic dentist in Beverly Hills. He takes good care of my teeth now!